Oh Dubai! The “Las Vegas of the Middle East” The cultural melting pot of East meets West. From the towering high rises, to the world renown clubs, to the camel rides in the desert. It is the hottest cities in the world, literally and figuratively. And I had the privilege to live there and experience first hand the “Dubai Lifestyle.” Oh habibi, it was insane. I am going to tell you EVERYTHING. The good, the bad, and the ugly. I hope it will help answer some of the questions I get everyday from all of you hopefuls. Living In Dubai: What is it like to live in the hottest (literally and figuratively) city in the world. Cultural Differences that I faced. The west cost VS east coast feud have nothing on how different the western world is from the eastern world. Being Crew. It’s what everyone wants more than anything in the world, but do any of you actually know what crew do? 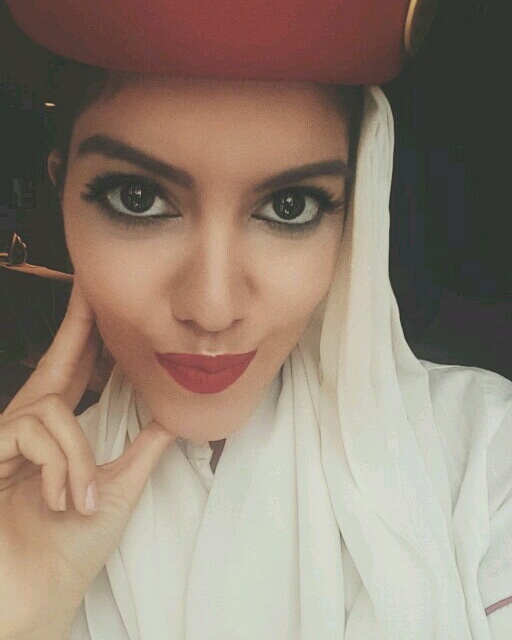 Rumor Has It… What have you heard about Emirates girls? What about Emirates guys? What about the pilots? I’ll tell all. So stay tune for each of these, I am hoping to have them all out in the next few weeks. If you have anything that you would like me to add on to these, or any questions you have about being crew, please comment below! I will be more than happy to answer your questions. As always good luck on your journey in life, and I hope to meet you along the way. Hey my loves!! So I don’t know how many of you know that I now fly for a private airline, (fancy, I know!) It has been very different from Emirates, and in the upcoming weeks, I will tell you all about what the whole process has been like! I officially started in May, but I JUST finished training in August! I am so excited to be done with training, but I’m about to enter my first week on rotation all by myself, without a trainer, and I’m so nervous about it! The amount of discomfort I am feeling is unreal! One of the biggest changes flying private has brought along is that I work solo, vs being a part of a team like I was at Emirates. The whole ordeal has been making me think about my time with Emirates airlines a lot lately. Its hard not to draw comparisons! Just like now, I once felt this discomfort and nerves! It has been a really long time since I have last posted! I thought it would be so fitting to write again since in a few days, it will be my year anniversary here in Dubai. These past two years have been a whirlwind of emotion, loss, happiness, self discovery and so much more. I really want to share with you all how trans-formative this journey has been, and why. I am FINALLY home in my beautiful Chicago! I am here for a wedding of two really good friends, and I cannot wait to celebrate with them! I know in my last post I had mentioned that I would like to return to home permanently. Now here I am home on holidays, and it just makes me want to pack up and quit even more! HOWEVER, I had a quick little turn around (You fly, but come back to Dubai on the same day) and we had a lovely FG1 (First class cabin crew) helping us in economy. It was quite funny because we had her, a girl who has flown with Emirates for 8 YEARS!! Then we had another girl, who has just started flying two weeks ago. The difference was startling. When we had a little down time, the two began talking and the FG1 started to talk to her about what it takes to be able to not only become a first class cabin crew, but manage to live and thrive in Dubai for 8 years. Has it really been 5 months since I’ve posted! ?1 I am literally the worst! Honestly, my keyboard on my laptop broke about three months ago, and since I am like the laziest person in Dubai, I waited until last week to get a new one. So when I FINALLY logged on to my blog, I had so many comments, basically asking the same thing and I though, “Well, I should probably just make a post to TRY and answer these questions all at once!” So hopefully this helps! The Golden Call: What do they say?